Apple has released a Boot Camp update, which adds official support for Windows 10 for Macs running OS X Yosemite. 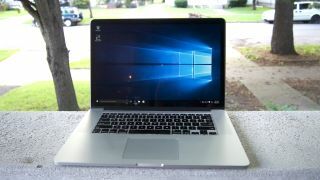 Not that a lack of official support stopped crafty users from installing the new OS anyways, but version 6 of the Boot Camp dual-boot software brings driver support to utilize your Mac’s many features in the Windows 10 environment. This new version of Boot Camp most notably adds driver support on Windows 10 for newer Macs built with USB 3, USB-C and Thunderbolt ports. Even for Macs that don’t feature newer ports, the update offers a refreshed set of drivers for built-in SD card slots, the USB Apple SuperDrive and tweaks to help your keyboard and trackpad working smoothly on the Windows OS. To prep your Mac for the latest Boot Camp version, simply ensure that your computer is up-to-date. Meaning, it’s running OS X Yosemite with every little software update installed. You can find a quick and easy guide on how to install Windows 10 on a Mac right here. What if you couldn’t wait and already installed Windows 10 via Boot Camp on your Mac? Don’t fret, you don’t need to re-install. Run Apple Software Update, which auto-installed itself when you completed the dual-boot installation via Boot Camp. The only question that remains: Can you run Windows 10 on your Mac? Probably, so long as it’s compatible with OS X Yosemite. Here’s a list of the Macs that are compatible with the newest Windows OS.